Posted on December 25, 2013 by J. Big Verbs encompass the whole play and reflect your character’s overall goal, objective, or motivation. (These are three different terms for the same thing.) Big Verbs are about what your character wants that he thinks will make him happy. In a well-written play, it is the thing that he wants most in the world; it is, at that particular moment in time, the single thing he thinks will make him happiest. Semi-Big Verbs encompass large chunks of the play, such as an act or a scene, and are typically the strategy that your character employs to get what he wants. Little Verbs cover the individual beats of the play and are the tactics that your character uses to achieve his goal. They are strategy in action. 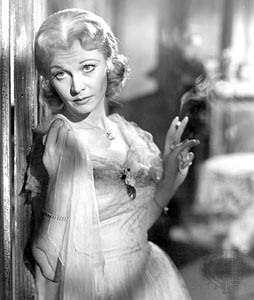 Let’s look at Blanche DuBois in A Streetcar Named Desire: Blanche has lost her job and home and has fled to New Orleans to find sanctuary with her sister. Her Big Verb, her want, is to find basic security – a roof over her head and food to eat. Her Semi-Big Verbs are her strategies for getting that: to charm her brother-in-law into letting her stay; to get her sister to align herself with Blanche’s cause; and to marry Mitch. These are broad stroke strategies she has to achieve her goal of finding a home. How she goes about impressing Stanley, co-opting Stella, and marrying Mitch are the Little Verbs, the tactics she uses. For instance, with Mitch, she flirts, she flatters him, she seduces him, she evades him, she lies to him, she begs him, etc. Each time she meets with resistance, she changes tactics. She may change tactics because she is trying to approach him from a variety of angles. But each Little Verb is what drives each of the smaller beats of the play, all in service of getting Mitch to marry her, which will achieve her goal of finding a home. If you can put yourself into Blanche’s shoes and believe, for the space of the play, that have lost your job and your home through shameful circumstances, you won’t have to think too much about what you feel in these scenes. All you have to do is fight like hell to find a way to get a roof over your head. If Mitch seems like both manna from heaven and your last chance, and you do your best to get him to the altar, the emotions will take care of themselves just fine! As for Dora in Equus, “to justify slapping Alan” is her Semi-Big Verb for the scene, and all the other verbs for each beat are Little Verbs. Dora is in conflict with the doctor, who saw her slap Alan and whom she thinks blames her for Alan’s plight, but she is also in conflict with herself. Her inner guilt makes her swing between attacking the doctor when she doesn’t want to admit her complicity and acknowledging that same complicity in moments when she can no longer deny it. Inner conflict is a very powerful force on stage. So the “roadblocks” she runs into that make her change tactics are both what she receives from the doctor while she is speaking (a raised eyebrow, or a stoic refusal to be taken in by her explanations) as well as her own fear of acknowledging that she may have contributed to Alan’s crime by how she raised him. See Playing the Verbs Part II here. See Playing the Verbs Part III here. See Why Playing the Emotions Doesn’t Work here. See Why Playing the Verbs is (Ultimately) Easier than Acting Emotions here. See Choosing Verbs here. See How to Learn to Play the Verbs here.